Seems simple, right? One problem: the cat has no intention of doing ANY of these things! Watch as the steps keep changing, the cat keeps escaping, the girl keeps eating cookies and the mess keeps escalating. Soon it's not just the cat who needs a bath –– it's the whole house! LTPB: How did you come to illustrate How to Give Your Cat a Bath? What drew you in most about this project, and why do you appear to be drawn to books about cats even though you don’t live with any? 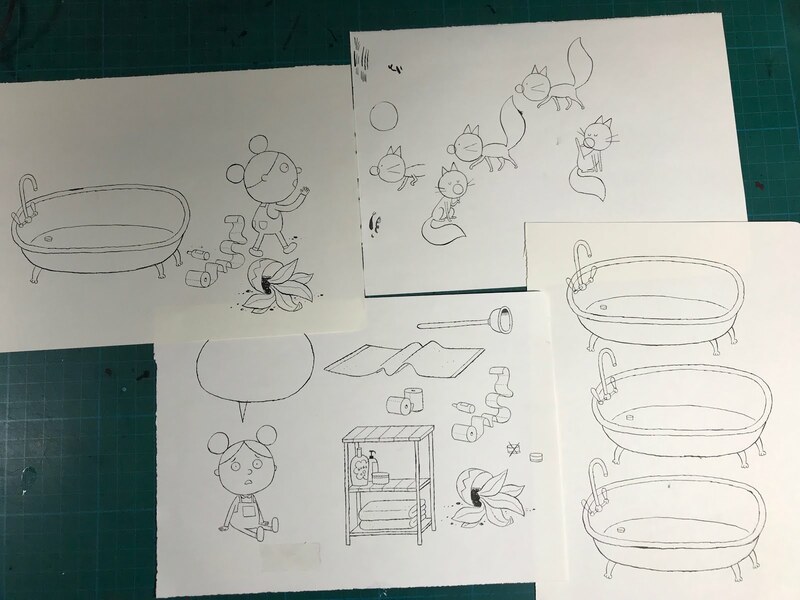 JM: Samantha Swenson, the book’s editor, and I had been trying to find an opportunity to work together for a while, but it wasn’t until she showed me the text for How to Give Your Cat a Bath that we found the right match. I was drawn to the structure, and repetition, and the instruction manual narrator. In addition to being something I thought would be fun to draw, it seemed like a great opportunity to play around with the design of the book and the typography. As for cats, they’re just easier to draw than dogs, or other animals! If you can draw a circle and two triangles, you can draw a pretty decent cat. LTPB: What differences have you found between creating a picture book on your own (text and illustrations) versus illustrating someone else’s text? When you do both, which do you generally start with? 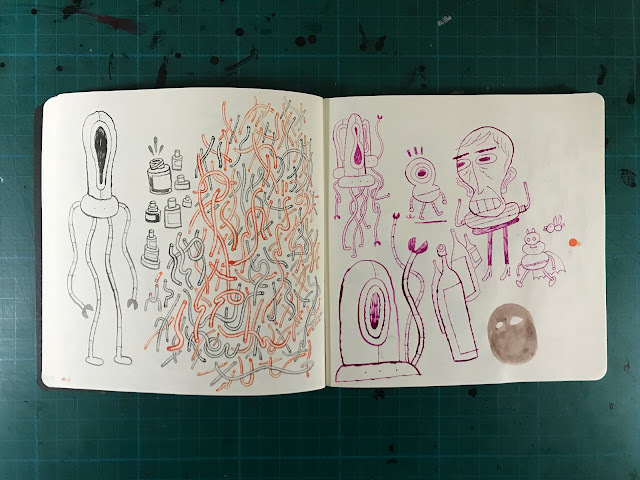 JM: Well, when I’m creating a book on my own, I tend to write stories featuring things I’m interested in drawing, and I avoid writing about things that I don’t want to draw. When I’m illustrating someone else’s text, I’m at the mercy of what they’ve written about, and it often means pushing myself to draw things that I otherwise may have tried to avoid, or scenes and scenarios that I wouldn’t have thought of myself. As much as a picture book is the marriage of words and pictures together, I think it all falls under the category of “writing” –– the pictures are telling the story as much as the words are. When I’m writing for myself, I generally have only the vaguest idea of what I think the story needs to do on a given page –– oftentimes my scripts are just a series of post-it notes with single sentences written on them describing a moment in the story. It’s only when I sit down to draw the scene that I begin to make bigger, more specific decisions on the action or the dialogue, or what the page itself will look like. I like every stage of the process to feel a little spontaneous. 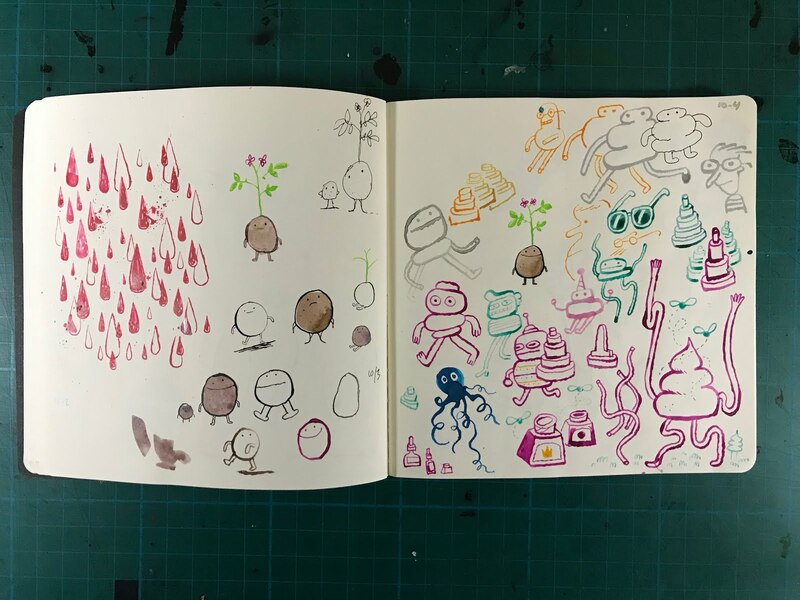 LTPB: What did you use to create the illustrations in this book? Is this your preferred medium? How does your process change from book to book and whether or not you’re the author? 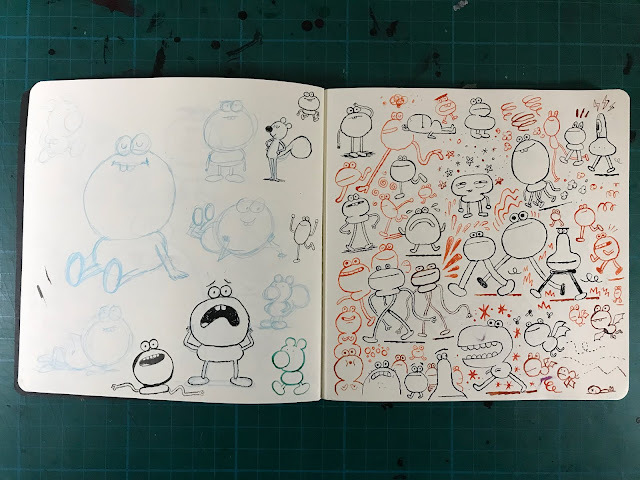 JM: My very first step is to start building the book in InDesign –– I set up the file and lay out the pages as if I were designing the finished book, and then start populating the spreads with rough illustrations drawn in Photoshop. This allows me to quickly prototype the book, and get a sense of the page turns, and where the text goes. 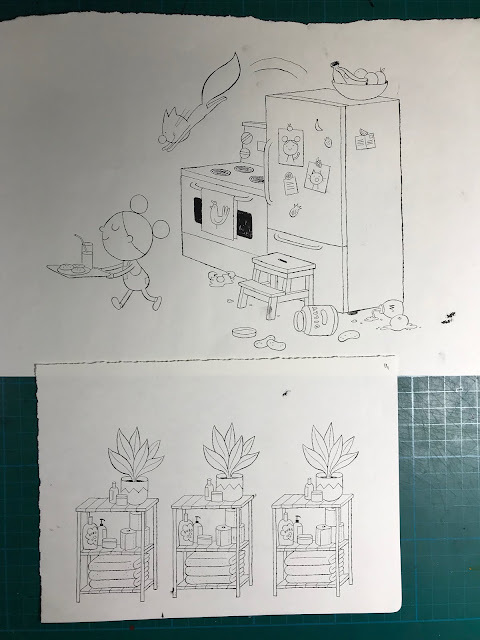 Once everything is approved and ready for final illustrations, I print the artwork out and, using a lightbox, redraw all the illustrations with India ink using a dip pen and a Hunt 108 nib. I don’t worry about being too perfect with the drawings, so oftentimes I’ll redraw the same section of an illustration several times, and then piece everything together on computer, like a digital collage. Colour is then added in Photoshop. 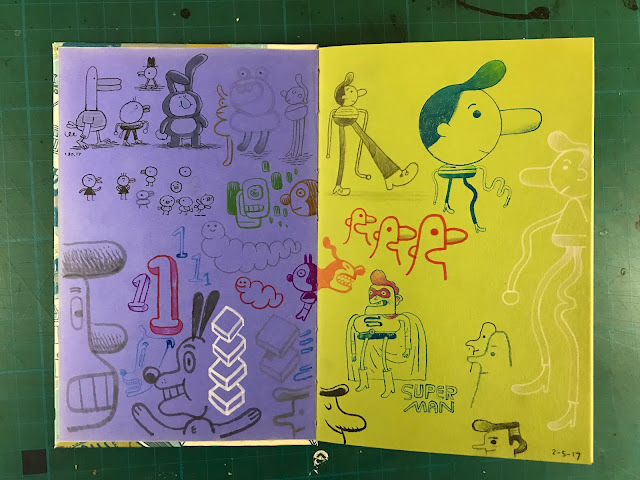 I like to change up my process with every book –– the tools are generally the same, but I try to do something different with how those tools are used, and what kind of shapes and marks and images I can make using them. Every book is an opportunity to try something new, and to evolve as an artist using what I’ve learned making earlier books. I think it’s important that the process always be changing, and to never get too comfortable in any one way of working. I think if you’re not a little scared that you don’t know what you’re doing, you’re probably not trying to push yourself hard enough. LTPB: In addition to children’s book illustration, you also create custom comic fonts –– and for some pretty big names! What can you tell us about your work in comics? JM: I came to picture books via the comics world, and to the comics world via graphic design. My very first picture book job was a direct result of exhibiting my self-published comics at the Toronto Comic Arts Festival around 2008. Many of the cartoonists for whom I’ve made fonts are friends I made in those early days of exhibiting at comics at festivals like TCAF. I studied graphic design, and well before I ever shared illustrations or comics online, I had a website in the early days of the Internet from which I distributed a number of fonts I had made in my spare time. So, I’ve been making fonts and sharing them online for as long as I’ve been sharing anything else online. It can be a tedious process, but I love it –– it combines so many of my interests together: design, comics, art, language, and technology. JM: I have a few things the pipeline, but nothing I feel I can show just yet. 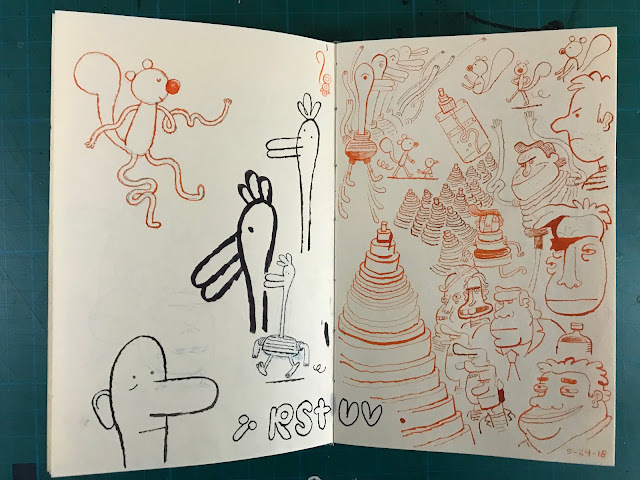 Right now I’m probably most excited about just drawing in my sketchbook with no purpose other than the act of drawing itself. The most important discoveries and breakthroughs about my style and process and voice all came from playing in my sketchbook I think. It’s part diary, part laboratory. I’ve been keeping a sketchbook since I was a kid, and I can’t imagine not having that outlet. JM: I feel like my answer to this question could change on any given day. I have so many favourites. But looking over my bookshelves at all these amazing artists, it’s difficult to imagine how the story of my life would be in any way exciting enough to warrant their talent. But I kept coming back to William Steig. His picture book illustrations have a modest simplicity and workmanship to them that feels about right. His work is so efficiently-designed and drawn with such confidence — spontaneous and carefully-crafted at the same time. It has so many qualities that I strive for in my own work. 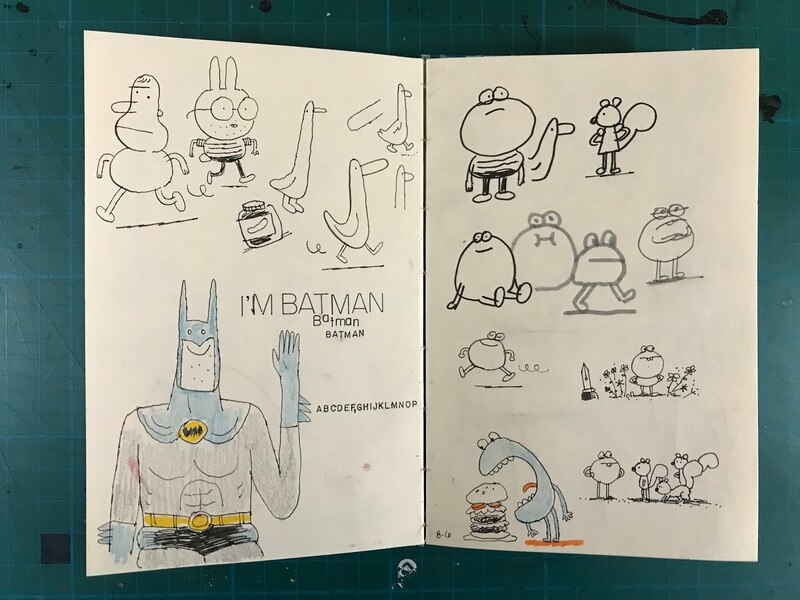 It’s completely unpretentious, but brimming with personality and humour, and just the right amount of weirdness — especially his more experimental cartooning outside of picture books. A million thanks to John for taking time to answers some questions! 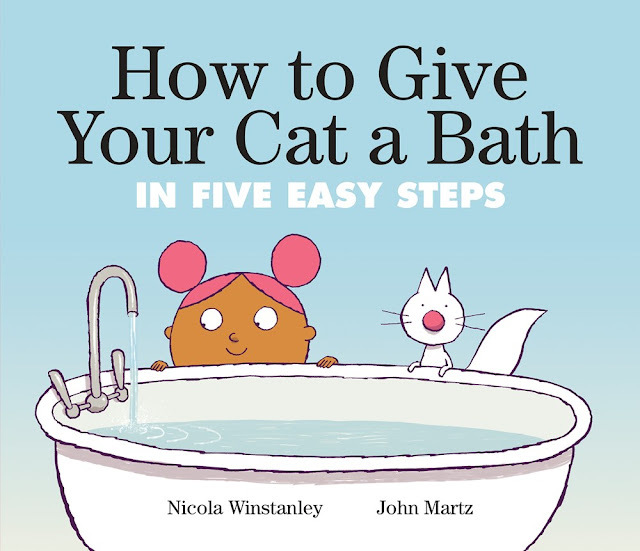 How to Give Your Cat a Bath: in Five Easy Steps published from Tundra Books last month! Special thanks to John and Tundra Books for use of these images!